English Premier League defending champions Leicester City have made history as they are the first club from England to win their first three matches in the UEFA Champions League following wins over FC Copenhagen, FC Porto and Club Brugge and can now reach the last 16 with a point in their next fixture. 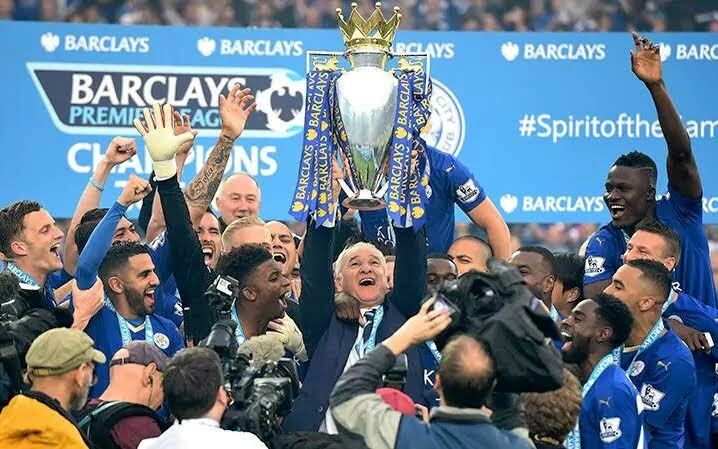 Speaking to Journalists, Coach Claudio Ranieri said: “We are the record team! We are in a good position, our destiny is in our hands and we want to continue in this way. It’s good to go in the Europa League [Leicester now look assured to finish third at worst in the group], at least. Ranieri also praised Goalkeeper Kasper Schmeichel for making a brilliant save in the 90th minute to deny former Cardiff striker Andreas Cornelius. “Thank you to Kasper. Thank you to all my players, because in every high ball Copenhagen is very strong,” he said. “It was a good performance, totally different from the Premier League, but that is normal when a team like Leicester plays for the first time in its life in the Champions League. “From one side, I’m very proud. From the other side when I think of the Premier League, I’m very, very angry. But it’s OK because in my career this has happened.